The beautiful city of the United States New Orleans is popular not only in America, but all over the world. Some people associate it with the birthplace of jazz, others with swamps, alligators and black cult of voodoo, the third group of people thinks that this place can be associated with the tragic consequences of Hurricane Katrina. A terrible natural phenomenon, which took away many lives and almost completely destroyed the city, struck New Orleans in 2005. The infamous hurricane Katrina immersed the settlement under the thickness of water, mud, debris. The damage was estimated at 80 billion dollars. But the amazing city has been restored anew in 6 years. Orleans managed to recreate the city so much, preserving the atmosphere of old New Orleans. The city is comfortably located in the state of Louisiana on the Mississippi River near the Gulf of Mexico. This settlement was a colony of France and Spain. The spirit of these countries is hovering over the streets of New Orleans. This is evident in architecture and in historical monuments. 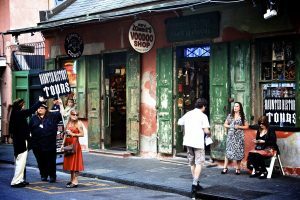 If you are a fan of mysterious stories and like different incredible legends, you are welcome to visit New Orleans offering a lot of fun things to do. A hot and humid southern evening. The shimmering light of these gas lanterns sharpens, makes the shadows in the corners of narrow streets especially embossed. Lanterns slightly illuminate the openwork forged lattices of balconies. Even in the semi-darkness of the house in the old city center (this Spanish-French colonial architecture) is surprising with elegance. In the dark, there is something mysteriously dark in this place. The French Quarter in New Orleans is the oldest and most famous district of the city. 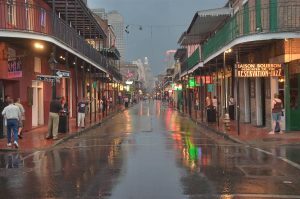 Since the founding of New Orleans in 1718, the quarter has been the center of the city. world-famous donuts and coffee at Café Du Monde. Old buildings, some dating back to the 17th century, show French influence in architecture on the American continent, with arcades, wrought-iron balconies, red-tiled roofs and picturesque courtyards. In many buildings there are hotels, restaurants, souvenir shops and art galleries now, which you can visit. Interesting: Actually, the whole block is a crazy set of bars, galleries and tourist shops, cozy nestled in old Creole houses. 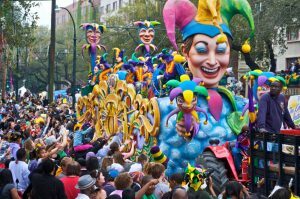 Every year in the spring, there is an enchanting Mardi Gras, to which dozens of thousands of tourists flock. New Orleans Arena is a multifunctional indoor sports complex. 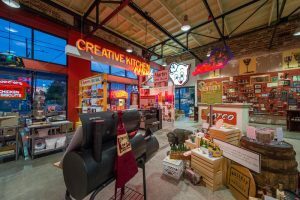 It is located right in the middle of business districts in the heart of New Orleans. 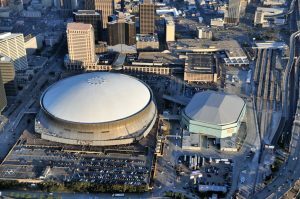 This arena is used for home matches of the basketball team “New Orleans Pelicans”. The arena was opened in 1999. The cost of its construction amounted to 114 million dollars. Thanks to the reconstruction and implementation of the newest communications in 2006 and 2008, the arena continues to be one of the most modern in the US. Interesting: A separate role is played by the arena during the traditional music festivals held annually in New Orleans. The American cocktail museum is the center of the advancement of American cocktail culture with a 200-year history. In this original museum you can get acquainted with all the prerequisites of appearance, the secrets of cooking and drinking cocktails. The American cocktail museum has a very valuable collection of ancient books on alcoholic subjects. Many of the local exhibits date back to the 19th century! This is the only cocktail museum in America, which periodically moves, but all bartenders, sommeliers and just cocktail lovers should visit it 100%. Interesting: It is planned that very soon this museum will have its own bar, where famous and long-forgotten alcoholic drinks and cocktails will be offered. For example, the oldest cocktail of “whiskey” from rye whiskey, soda, lime juice and sugar, and a national American cocktail “sherry twist” made of sherry, bourbon, orange and lemon juice. The Manchac swamps, located not far from New Orleans in Louisiana, are rightly bear the ominous name of the “swamp of ghosts.” This eerie place is fanned with mysteries and terrible stories. Tradition says that its sinister magic of the marsh was acquired in 1915, when a minister of the Voodoo cult was imprisoned in these parts. She cursed these places and shortly afterwards a few villages were destroyed from the face of the earth in the vicinity of the marshes, which were swept off the face of the earth by the strongest hurricane. Since then, everyone has tried to avoid these gloomy and mysterious places, and even birds fly it by. 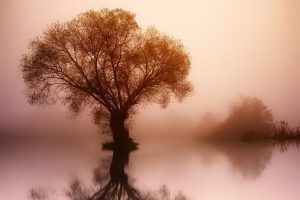 It is said that from time to time the peace of the marshes is disturbed by floating bodies – those who died or were killed hundreds of years ago by grieving entrepreneurs. Today, those lovers of horror films and mysterious stories come to this place to see it with their own eyes. However, tourists need to be especially cautious – after all, in the swamps there are large alligators, gluttonous and aggressive. Interesting: In some places, dry fragments of trees stick out of the water, giving the marsh an even more ominous look. 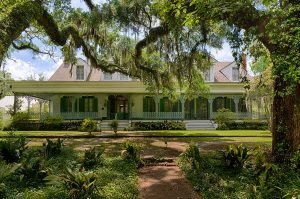 One more mysterious place you should definitely look at is the Myrtles Plantation. Historians associate the mystical aura of the house with its last owners. The building was built in 1796 by General Dave Bradford, where his daughter and her husband later lived. The young couple had a slave named Chloe, who often overheard the conversations of her masters. Once the girl was caught at the scene of the crime and, to permanently wean her from a bad habit, the owner cut off her ear. Chloe decided to take revenge on the offender and added a poison to the cake, baked for dinner. The man refused dessert that night , which his wife and two daughters did not do and later died in torment. The slaves vehemently lied Chloe, and since then her ghost has been wandering around the house and the nearby garden. Interesting: Victims of Chloe also became prisoners of the estate. They leave fingerprints, traces of feet, hide the things of the guests and frighten them with their reflections in the mirrors. Want to find out whether it is really true or not? Then, don’t hesitate and go there! and Insectarium Garden and Audubon Park (in another part of the city). It is located along the banks of the Mississippi River on the edge of the historic French Quarter at the end of Canal Street, at the top of Woldenberg Park. It was opened in 1990. 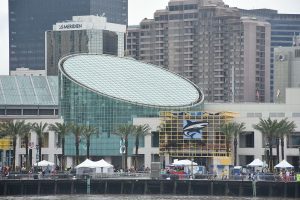 The Audubon Aquarium specializes in the aquatic life of the American continent. Exhibits represent regions throughout the Americas. It focuses on the biological species that live in North, Central and South America. Interesting: In the aquarium you can see 10 000 different fish and animals representing 530 species. 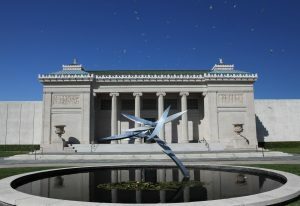 In the southern part of the City Park there is the building of the New Orleans Museum of Art, the museum is one of the best of its kind in the south. The museum has an excellent collection of French and American art, as well as a pretty decent African and Japanese. The permanent exposition of the museum represents more than 40,000 objects, from the Italian Renaissance to the modern era. Interesting: The museum presents a comprehensive overview of French art, including several important works of the French Impressionist Edgar Degas, who lived with his mother’s family in New Orleans between 1871 and 1872. Initially, it was a costume performance on the occasion of the spring meeting in the French Quarter of New Orleans, which aroused the curiosity of onlookers. Over the years, the carnival became more and more crowded, there were bright painted platforms, moved by the horse. The legend tells that the brother of the heir to the Russian throne being in love with the American actress Lydia Thompson, followed her to New Orleans just before the holiday. The organizers of the carnival, after learning about the visit of a royal man, prepared a special platform with the inscription “Rex” (king). Now, on the regular basis, the main events of Mardi Gras take place on Bourbon Street in the French Quarter of New Orleans. Here, you will see a grandiose costumed procession led by the King and Queen of Carnival. Participants in the parade are seated on giant mobile platforms. They throw in the crowd a variety of trinkets, plastic beads and sweets as signs of attention. The number of spectator seats along the carnival procession is limited. To be in the forefront, you have to come to the scene in a few hours. New Orleans is the cradle of classical jazz, and during the festival its sounds come from everywhere. Interesting: The brass bands march through the streets, play in the squares and on the balconies of the houses. Carnival Mardi Gras lasts all night. The fun ends with the first blow of the church bell announcing the beginning of the fast. The museum is located in the central business district of New Orleans on Andrew Higgins Drive. The National Museum of the Second World War is an outstanding military and historical museum, which tells an interesting interactive story of the history of World War II, involving exhibits, weapons and historical documents. 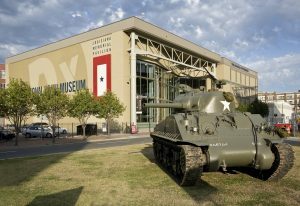 Being founded in 2000, it was appointed the official museum of America on the theme of World War II by the US Congress as it is supported by the Smithsonian Institution. The third section presents wartime aircraft. Interesting: Visitors have a great opportunity to see unique artifacts, tanks, weapons, aircraft, etc. There are a number of Voodoo shops, which are treated by natives like real temples. There is an incredible amount of them. This institution is called a temple, in fact, it is a bench of the Voodoo goods. In past times, the city was the center of slave trade. Negroes who came to America brought a cult of voodoo to the United States from Africa and Haiti. At the so-called temple the black priestess works, who will offer you to foresee future using a special board. and anything belonging to the victim. Interesting: The most revered animal in the voodoo religion is the python. The reptile is considered to be the embodiment of a deity, participates in all voodoo rituals.